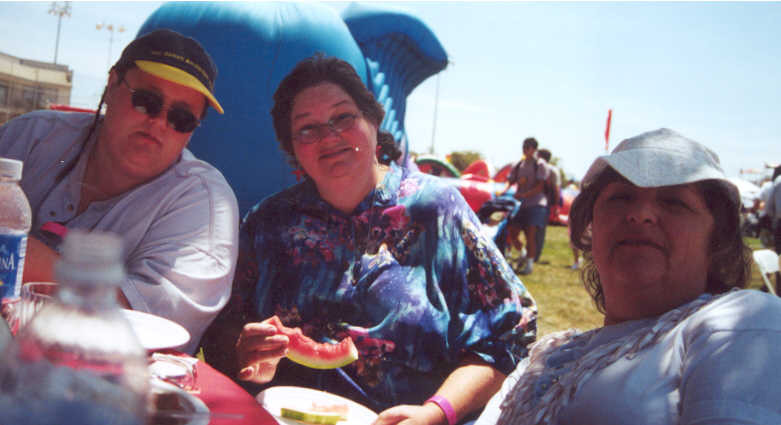 These are pictures from the Oracle Picnic 7/15/00. Glynis, Susan, and Adrien. 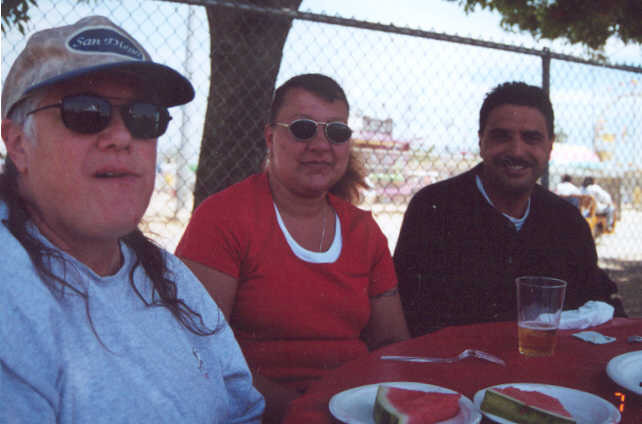 Kathie, Amy, and Donny chowing down. Horsing around with Anisha. 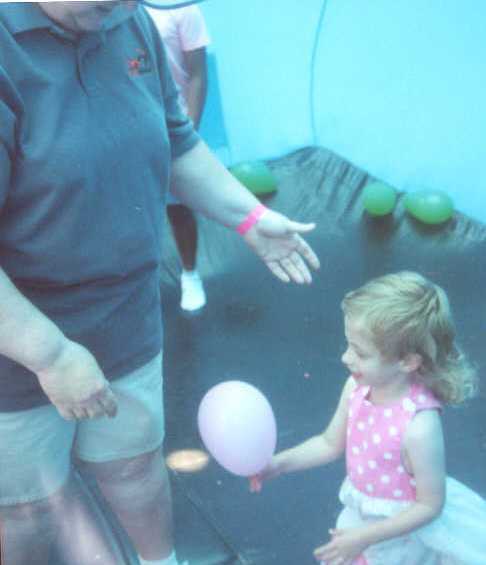 Katelyn and Judy inside the balloon air machine. 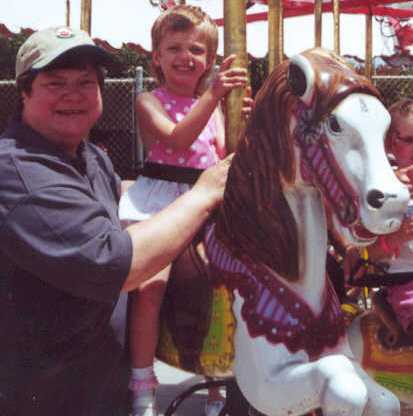 Judy and Katelyn at the carousel. 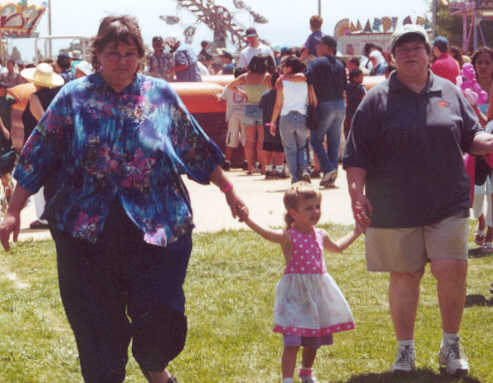 Susan, Katelyn & Judy just walkin' around.